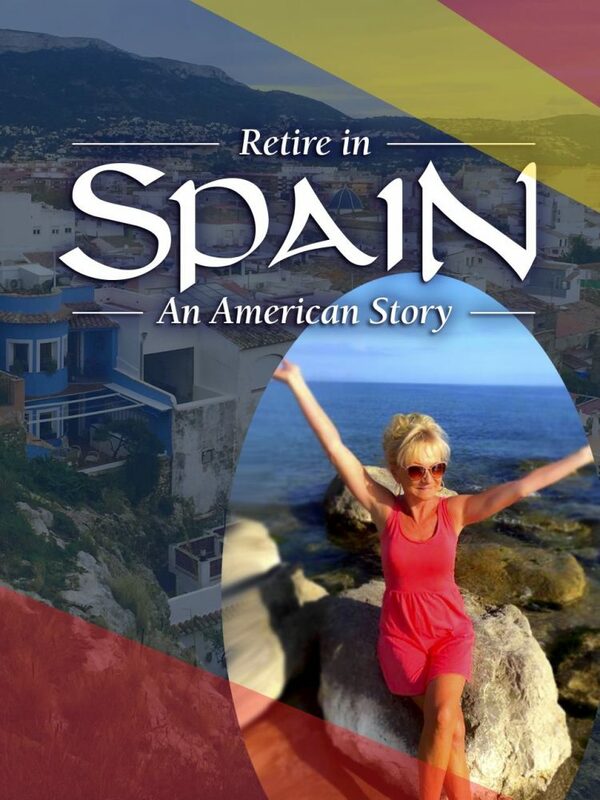 Retire in Spain? You may be wondering, “Could it be possible for me? The place for me?”. Assumptions exist that discourage people, like the perception that living anywhere in Europe is too expensive. 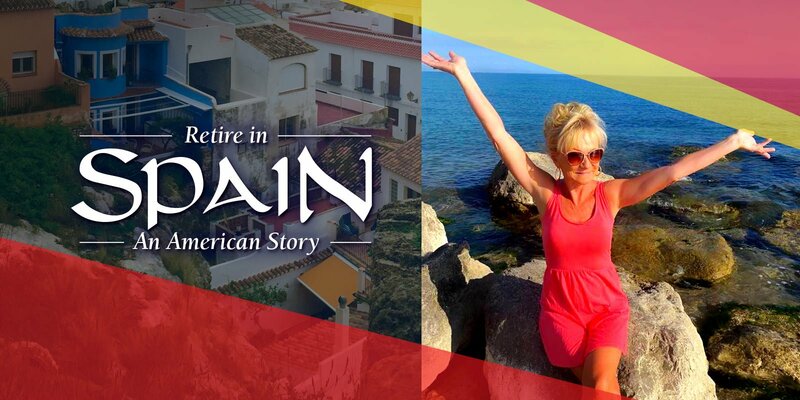 But over the past couple of years, more and more Americans are making their retirement dreams come true by making the move to Spain. My partner, Adam and I lived in the San Francisco Bay Area, California for over 30 years. 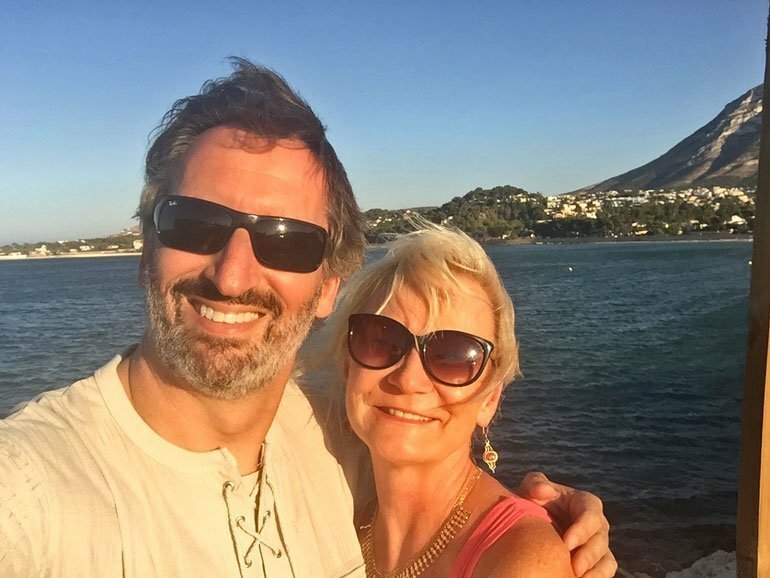 We met and fell in love in 2015 after two previous marriages each. Hence, we decided to not jinx things with a third marriage and, instead, ‘live in sin’! Adam has two daughters, ages twenty-three and twenty and I have two sons, twenty and eighteen. His oldest is a college graduate and working in New York City. His youngest, a student at San Francisco State, is studying abroad for her 3rd year, 2018-19, in the United Kingdom. My oldest is finishing his basic studies at a local Junior College preparing to transfer to a four-year university, fall 2019. Well, he was… but that is another story… My youngest is a freshman at Cal Poly Pomona studying kinesiology. 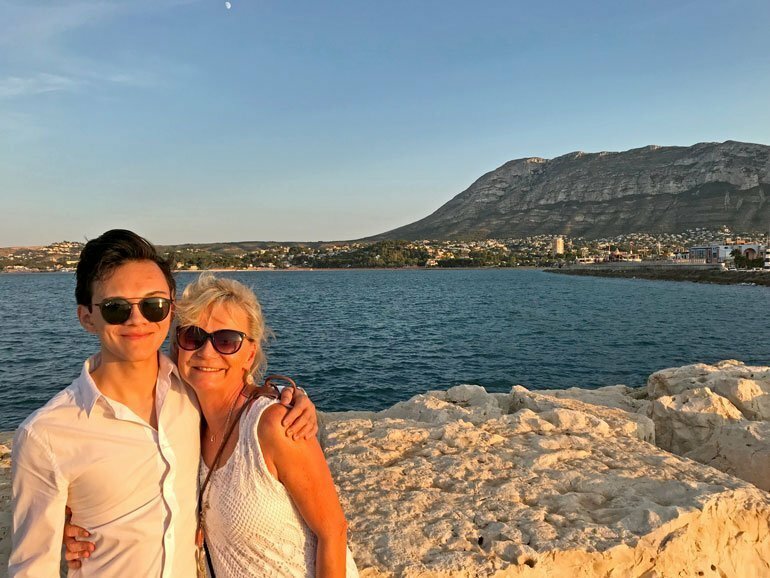 Above Image – Jumping forward a little, here I am with my youngest son in Denia’s Marina, with the mountain Montgo in the backdrop. Adam and I are (were) computer science and electrical engineers, respectively. Over the past 30 years, we have held many high pressure, yet high profile jobs in high technology. During our last four years in the US, I had been selling real estate rather than semiconductors. I’m not sure which career was more rewarding, tiresome or horrific at the same time. Our story is fairly typical for people living and working in Silicon Valley. All work, good incomes but hardly anything left to show for it. Tired all the time. Long hours. High Pressure. Poor diets (doordash). No exercise (no time). We lived in a very expensive neighborhood so that my boys could still finish school at their high school after my divorce and sale of my home. Now with my youngest graduating and going off to college it became apparent that we no longer needed to live in the high rent district of Cupertino, California, home of Apple Computer. Above Image – Visiting the rocky shores of the Las Rotas beach in Denia. I was working 7 days a week at all hours of the day and night, the life of a realtor, and Adam was feeling a bit burned out with his current technology job. Sometimes I would have to push him out the door in the morning, him kicking and screaming like a 2-year-old. OK, that was a slight exaggeration. We were tired, and the kids were pretty much on their own. Now what? Is this what life was really all about? Go to college, work your asses off for 30+ years, raise children, send them off to college and then collapse from sheer exhaustion? Is this what life was really all about? Go to college, work your asses off for 30+ years, raise children, send them off to college and then collapse from sheer exhaustion? Since it was obvious we were no longer going to stay in our high rent house, we started thinking about moving to a cheaper neighborhood, but still in Silicon Valley so we could keep our jobs. But did we really want to keep our jobs? Did we really want to continue this crazy, unsatisfying, unhealthy lifestyle? Then in 2017, Adam’s mom passed away, as did my dad at 75yrs, too young of an age. Losing parents makes one think about their future. What did Adam and I want from our future together? BINGO! Adam had an absolutely, beautifully insane idea. What if we retired early and moved out of California? Could we? Could we move away from our kids? Our friends? My mother? What about my cats? Yes, I am a crazy cat-lady. 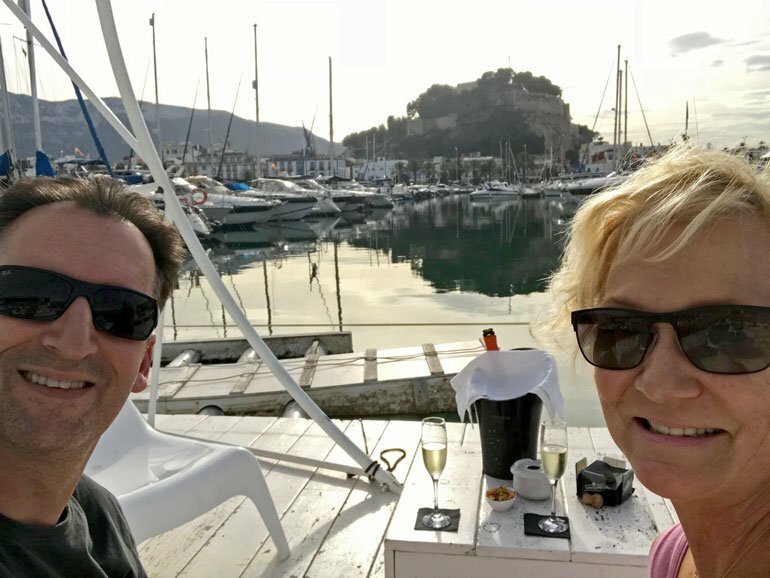 Above Image – Enjoying Cava at the Marina Portet, with a great view of the sailboats and the Denia Castle. Well after pouring through our finances, it was clear that if we wanted to retire in the USA, each at age 52, near the beach, which was a must for me, we could not do it. Our savings and investments would not even allow us to retire in Florida, which was not even an option, in my opinion. I hate Florida. Adam, born and raised in the United Kingdom, suggested that we look at Europe. During the 4 years that we have been together, we have been lucky to travel around Europe quite a bit. Plus, Adam has family living near London. Why not give it a go? Europe… beach… no work… This is beginning to sound exciting and scary at the same time! This is beginning to sound exciting and scary at the same time! Target – Europe: Let the Search Begin! Above Image – Exploring the nature of Denia’s Mediterranean coastline. So, Europe, but where? My main requirement was a warm beach and Adam’s was a town where we could walk to almost everything. We did not want to rely on a car. Plus, we needed to investigate “affordable” places that were really working towns year-round. Who likes mass tourists in the summer and a ghost town in the winter? Italy was out, sadly. We could not afford the Italian towns that met our requirements. Feeling dejected and yearning for the Italian pizza I thought I’d never have, we started looking at the Algarve area of Portugal. Algarve, Portugal has stunning beaches, cute towns, and is affordable. But, the more we looked into it (Google maps, Google earth etc. ), the towns with lovely beaches seemed to be mainly tourist towns, meaning that they would be desolate during the winter months. We really wanted a thriving town year-round. Above Image – Sunset drinks on the Rasset Beach in Denia, just a couple blocks from our new home. Then one evening we were chatting with our good friend, while drinking mass quantities of tequila, about our idea to retire in Europe. She suggested that we look at Spain as her daughter had lived in and loved Madrid for over 10 years. Hmm, Spain? Her daughter had vacationed in Javea, which is a beautiful town in the Costa Blanca area of Spain. About 1.5 hours south of Valencia and 1 hour north of Alicante (and both cities have international airports). On paper, Javea seemed amazing. Both of us being engineers, we studied every aspect of this town and, although it was lovely, it did not tick all of our boxes. It was not as “Spanish” as we wanted and seemed to be excessively touristy in the summer months. Plus, Javea was not very walkable, since the beaches, old town and port were too far apart. Damn! We were disappointed. However, Adam would not give up. He was determined. He figured that there must be a town around Javea that met our criteria. He was right. Denia, Spain. About 30 minutes up the coastline. 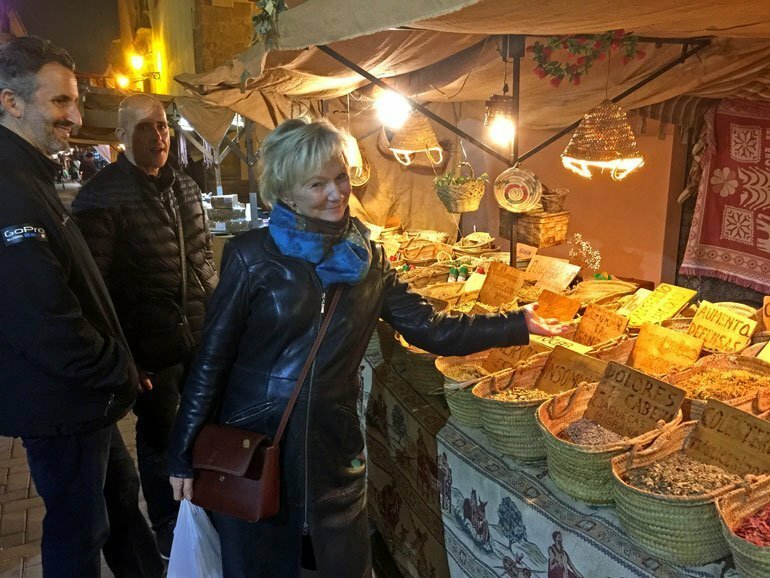 Above Image – The charming medieval fair that comes to Denia every winter. Denia sits right on the Mediterranean Sea, at the foot of a mountain (El Montgo), and has a 14th century castle in the center of town. Behind the castle lies the charming old town, chock full of fabulous restaurants and bars. After a 2 minute walk from the Loreto Street in old town, you arrive at the main city street, Marques de Campo, where you can meet with friends and have a café con leche (coffee with milk), caña (beer on tap), or a copa de vino (glass of house wine). It’s a great place to watch families stroll up and down the tree lined street. At the end of Marques de Campo is the Port, which has 2 extensive marinas on either side, the Marina el Portet and Marina de Denia, each boasting more fabulous shops and eateries. Trust me, you cannot go hungry or thirsty in Denia. And what about my main requirement, a beach? Denia has several beaches, enjoying almost twenty kilometers of coastline. To the north of town, you find the beach of Las Marinas with fine sand and calm shallow waters (and lots of summer tourists). Then to the south lies a series of small coves along the rocky coast, known as Las Rotas (but really expensive). This pueblo, Denia, appeared on paper to be perfect for us. Beach, port, walkable, thriving working town year-round, Spanish, castle, close to Alicante and Valencia, and affordable. Perfecto! Then, we took the next step in November 2017 – VISIT! Above Image – My oldest son visiting us in Denia. We quickly booked our investigative trip to Denia. We knew that the weather would not be that warm, but we wanted to see what Denia was like outside of tourist season. Months prior to our visit, we joined a Facebook group called Denia Connect. This site is full of expats, local Spanish natives and local business owners. The group was, and still is, a valuable resource to get information about Denia and surrounding areas. Things ranging from, “Where can I find peanut butter?”, “Recommend an English-speaking dentist?”, to “Where is the festival tonight?” or “I hear fireworks, why?”. We joined a Facebook group called Denia Connect. This site is full of expats, local Spanish natives and local business owners. The group was, and still is, a valuable resource to get information about Denia and surrounding areas. Through this Facebook group, we made contact with a couple from Canada, who were currently living in and testing out Denia over the winter months, and an American couple who were living in our home town in the USA and planning to retire in Denia in 2018. How awesome was this??? We quickly met with our new American friends in San Jose, CA to learn their story. She is both American and Spanish, as she was born in Spain and raised in California. Lucky dog, she is also fluent in Spanish! Her parents, once they retired from the USA, moved back to Denia. Hence, this couple had been visiting Denia for many years and knew it well. They were a HUGE resource with a plethora of information about Denia, Spain in general, lawyers, doctors, etc. Today, we live about a ½ mile from them and see them several times a week as they are some of our best friends here in Denia. As for the Canadian couple, we enjoyed meeting them on our November 2017 visit and they helped convince us that Denia was the town for us. Sadly, they have moved back to Canada. We hope they come back! I digress…. Essentially, our November trip convinced us that we were ready to cut the USA cord and move to Denia in 2018, after my youngest graduated from High School. And lucky for me, I found the best Italian pizza and pasta right in Denia’s town-center at Pizzeria Senze Nome. Take that Italy!!! Just Pick a Move Date, Right… ? 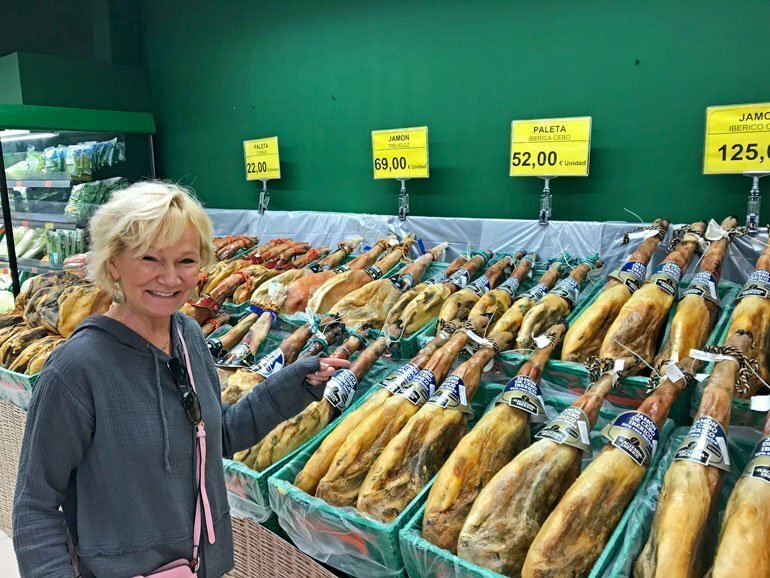 Above Image – Admiring the famous Spanish culture of jamón (ham) that is daily on display at the local supermarkets. Now that we had made the executive, insane decision to move to Spain, what next? How and when? These 2 questions became our topics of daily debate. Neither of us makes decisions lightly or quickly. I am more of a care-free spirit than Adam and on a mere whim I said, “let’s just pick a date and move back from there. Adam responded with “OK”, and a sheepish smile on his face. 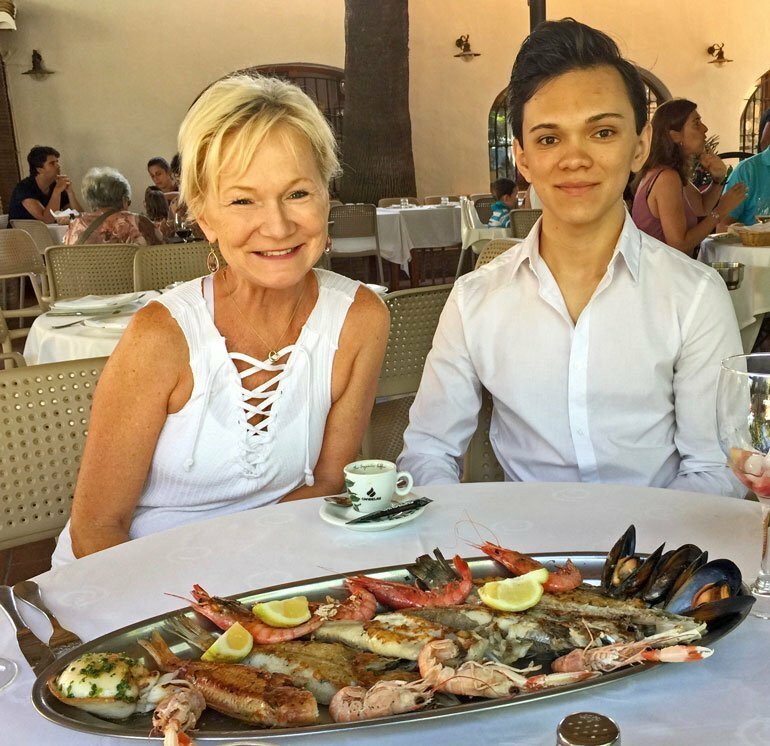 Above Image – Savoring the deliciously fresh seafood in Denia, while my youngest son visited us. Now that we had the date set, we needed to figure out how to get our visas. Any American who plans to stay in Spain for more than 90 days needs a visa. Since I did not plan to work in Spain, the name of my visa is the Non-Lucrative Visa. How unappealing of a name is that? Name aside, it is a visa for an American who cannot work in Spain for a Spanish company. Essentially, they do not want Americans to take the few jobs available for the Spanish. With this visa, I could still work for an American company while in Spain, if I wanted too (NOT!). In addition, we were a little unsure if Adam needed the same visa. Being true honest boy-scouts, we figured he did as he had been living in the USA for over 27 years and held an American passport. Hence, off we went to investigate how to get a Non-Lucrative Spanish Visa. I hope you have enjoyed this piece and will want to read part II, coming soon: Getting A Non-Lucrative Visa Without Going Insane or Killing Someone. Got questions or feedback? We’d love to hear from you in the comments below. Subscribe to our newsletter and get notified of part II and other great stories that inspire a traveling lifestyle. 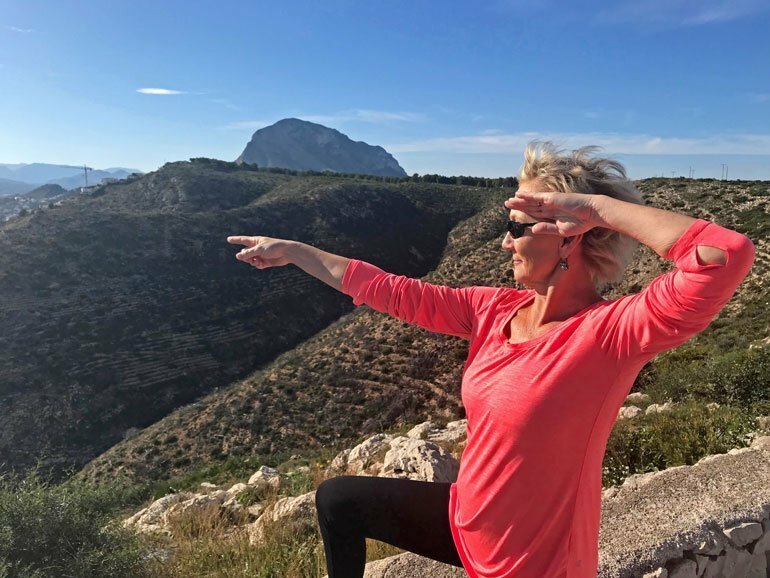 Tara Anderson is a retired American living in Denia, Spain spending her days playing tennis, cycling, beach walking, snorkeling, exploring Spain, hanging out with her new friends, mastering the Spanish language and eating Paella. 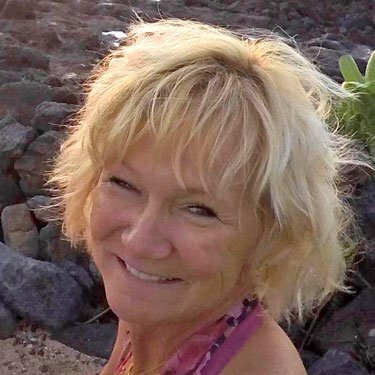 Prior to retirement, Tara, educated in Electrical Engineering, slaved in high technology and real estate for over 30 years in the San Francisco Bay Area. She has two somewhat grown, neurotic children living in the United States. You can learn more about her by visiting her Facebook, LinkedIn and Zillow profiles. Thanks for giving me the opportunity! And even more thanks for your friendship! Nice blog Tara. I’m Michelle Ceccarelli, Kip’s sister. I’m sure I’ll meet you someday as I lived in Denia teaching English when in my 20’s. It was a quiet little beach town back then! Great part 1 Tara. I like your gypsy spirit and would also think about retiring in Spain!! However I’m sure my brother, Kip, wouldn’t approve!! I’m the black sheep of the family and a bit wild! Anyways, I will continue reading your blog and hopefully meet you and Adam one day! I for sure plan on coming over with 2 girlfriends in a few years as I will be a retired teacher and need to celebrate! Hi Michelle, Thanks so much for visiting and enjoying Tara’s post. We’re Amalia and Eric, friends of Tara and Adam, and this is our travel blog. Tara’s great post was a guest contribution and we’ll make sure to pass your message on to her. We certainly love her gypsy spirit as well and how you can hear it in her storytelling. Come back soon to read the next part in her story! We hope you get to visit Denia soon and perhaps we’ll meet you here as well. Great reading! We are the “Canadian couple” Tara writes about. It’s a great story; similar to our own. Spain, and Denia in particular, is a wonderful place where dreams do come true. 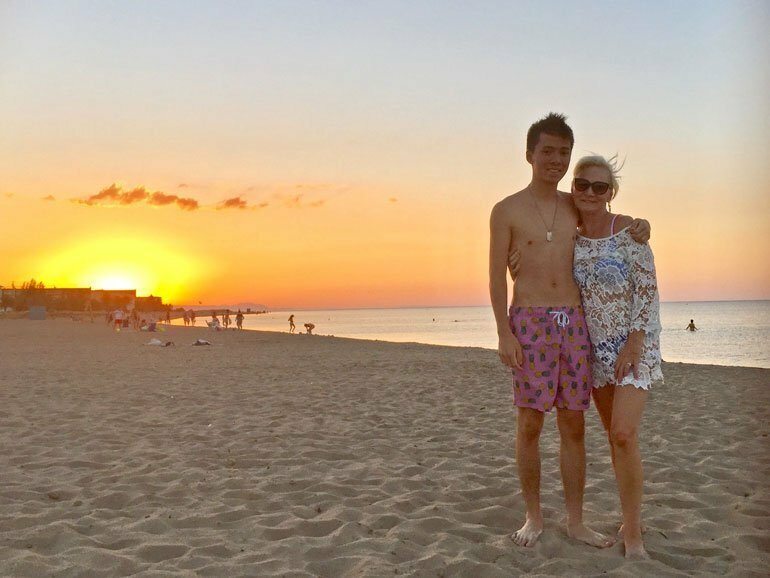 We’ve got a few things to figure out here in Canada (i.e., aging parents), but returning to Denia is something that’s on our minds just about every day. I hope we can be part of a few future chapters. Thanks so much for commenting Cliff and Karen. That’s great that you’ve already been a part of the story (it’s great to ‘meet you’ here). We also hope that you make it back here one day. Denia truly is so special! In the meantime, thanks for reading and please keep coming back for the rest of the story, and other travel stories we share about here. Hasta luego! And happy travels. You guys were critical with our decision to more to Denia. We relish the idea (and hopefully fact) that you will be moving back to join us and all of our new friends here. Missing you both terribly. Fallas will not be the same without you. Remember the Chinese restaurant? LOL! We are a couple moving to Altea Spain in 10 days . Tara and Adam hosted us one delightful afternoon along with their friends Rosa and Kip to introduce us to Denia . It was enchanting, we have become great fb friends and Tara is always ready with answers and offers of help . We look forward to a great friendship spent on the beach’s of neighboring towns and many festivals together! Lovely people! We can hardly wait . Wow! Thanks for sharing Linda, and welcome to Altea very soon. We love that gorgeous town as well, and just wrote about it recently. 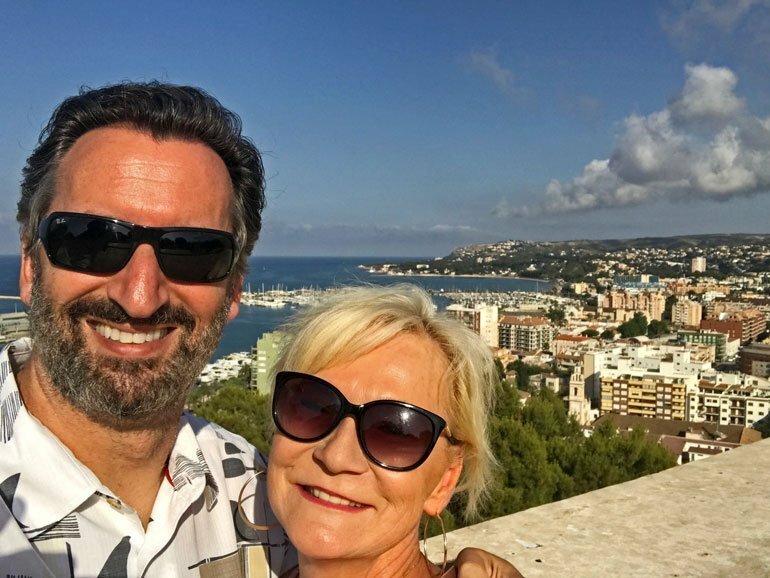 We certainly know that experiencing Denia with Tara and Adam would have given you a great introduction to this beautiful part of Spain’s Costa Blanca. We wish you a wonderful and once you’re settled in Altea, feel free to let us know if you’re ever in Denia and would like to meet up. Thanks for reading and commenting, and come back soon! I have known Tara since the first days of high school, and she has always been a savvy, hardworking girl. It is just awesome to see the self-determined reward for a lifetime of toil crammed into 30 years, including motherhood! Take care of her, Denia, she will emerge a crown jewel as she always does! Well said! So wonderful to welcome Tara’s friends here. We are super excited to have her here in Denia, and are sure that Denia, and her new community of friends, will take great care of her and enjoy her friendship as you have. Thanks for reading! Awe Demetri – You have always been a kind thoughtful soul. I am lucky to call you my friend. I do hope you find a way to come visit us here in Denia and also enjoy a reward that you so deserve. For now, Keep me entertained on FB. I love, love love your pictures and posts! XXOO. So fun to read this story. Tara and I have been friends since our children were in preschool. So happy she’s happy!! Wow! That is fantastic. Wait till you read part II coming soon. We’re excited for it as well. Yes ML. Friends for life. I am so happy for you and Andrew on your new adventure to Park City. 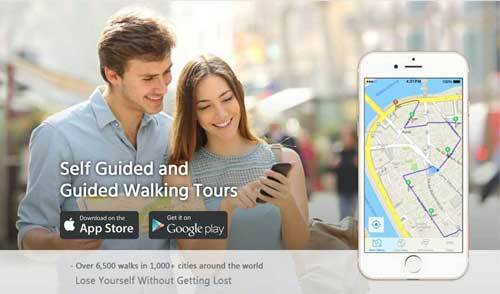 This makes visiting the USA more enticing! Love you girlfriend! 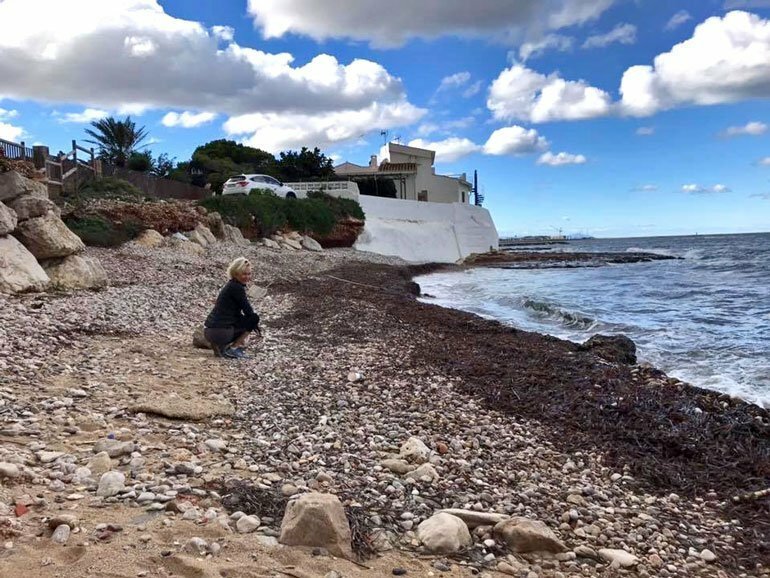 It’s great to hear about other people’s experiences, and Tara’s blog really validates everything we love about Denia and our decision to (hopefully) move out there in 2020. It’s so nice to be able to relate to others, huh. That is great that you’re wanting to move to Denia as well. 2020 will be here soon, and we hope that you move here to Denia as well. Thank you for taking time to visit our blog and read Tara’s post! Hola Jacquie – This is Tara. I am so happy that you enjoyed and became validated with our story. Should you want to reach out to me, please do via Facebook. Denia is an absolutely wonderful cuidad with great culture and people. We made an excellent choice and I am sure that you will as well. Best to you! Thanks for reading and commenting Pat. We’re loving Tara’s great writing as well and are looking forward to part II coming up soon. Hope you make it back over to enjoy more of her story here. And best of everything to you in your own upcoming adventure of retirement. Hola Pat, Good for you guys! Retiring. Aptos is a lovely spot. Time to get away from the SV rat race. Now that you will have more time, maybe you can travel? Like visiting us in Spain? We joined the local tennis club and play on Clay courts 2-3 times a week. Loving it! Thanks for your note my dear friend. I just went through a similar experience, and moved from Colorado to Fuengirola. I quit my cubicle job, rented out my house, almost lost my mind with the non-lucaritive visa process, and packed up my kitty and 3 suitcases and moved here by myself. I LOVE it here! Please let me know if you know of a good immigration attorney that I can use to renew my visa. Hope to meet you sometime! Hey Cynthia! Great to see you here again. Thanks for reading and commenting. We’re so glad that you like Tara and Adam’s story and we know that they’ll appreciate learning your’s. We’ll make sure they get your comment, and they’ll respond here soon. Continue enjoying Spain! Thanks for reading and commenting Michael. We’ll make sure that Tara gets your message and she’ll respond here soon. Hope you enjoy Spain again soon! YES YES YES! I would love for you to come see us in Spain. Saratoga is a lovely place, loved it for years. But, as you read my story…it was time to leave and begin a new adventure. If you come, Evye needs to bring her tennis racquet. We joined the local club and are loving playing on RED CLAY! Glad to see that you are back on FB posting political posts on Saturday’s and puppy posts the rest of the week. You absolutely crack me up. Love reading your posts. Lot’s of love to you all, especially your darling and talented daughter! Tara – thank you for such a terrific article. Very, very helpful to me as your criteria for identifying a most desirable location is exactly the same as mine! I’m still in California but this information brought me much closer to my move! Gracias! I am very pleased that you found the information helpful. Part 2 is about the Visa process. It seems daunting but it is not that bad. Let me know if I can help further with your decision process. This is such a great place to live! Adios! I too, am from the bay area and am tired of being tired. what happened to the lovely place of my youth. heading to denia on 3/19…..
Hi Debra. Thanks so much for sharing about your own experience. That’s great you’re going to be in Denia this month as well. Let us know if you’d like to meet up with us and Tara and we can arrange something. Yes, all places change. The bay area is nothing like it was when we moved there 30 years ago. As places changes, so do people. We were never meant to live in the same place all of our lives. Denia and the rest of us here welcome you. If you would like some friendly advice and help. Amalia and I are here to help. We love it here as do all of our new friends from all over the world. Denia is a special place. But I have to be honest. I am tired from, tennis, beach, golf, fine dining at a low cost, eating fantastic fresh food, wonderful sea air, running into friends around town, sombremesa ( you will learn that term if you move to Spain). A different tired. A Happy tired. So much to do. It is like a drug here after being suffocated in the bay area for so many years. Welcome! Would be honored to meet you and Pat. Message me on FB when you know your dates. Weather will still be lovely at that time. Hey Tara. Great article!! Looking for Part II. Hurry, lol. My wife and I will be traveling to Spain for a month this summer, spending a week in Denia. I studied there in college many years ago and have always wanted to return. I am hoping that my wife falls in love with Denia like I did, so we can consider a move in the not too distant future. Thanks again for the wonderful article. Hi Mark! Thanks so much for finding and enjoying our site and Tara’s post. We’re letting her know of your comment so she’ll be responding back soon. We can’t wait for the rest of her series too! Let us know of any questions you have about life in Denia or Spain in general. And maybe we can all meet up when you’re here visiting. How long has it been since you were last in Denia? It’s interesting to hear from others here about the changes over the past ten years. It would be neat to hear about what you think of it today versus what you loved about it before. Stay in touch and happy reading and travels! Hola Mark, Mucho Gracias! It was fun reliving the experience getting here. Now I am working on part 2. Need to find the time – so busy with retired life here! We hope to meet you both when you visit this summer. I hope it will not be too hot. As you probably know, July and August are very busy and extremely humid. I would also suggest visiting Denia during non-tourist and winter season to get a look at the city both ways. Please let us know if you have any questions.